A cooling wash which refreshes and revitalises the body after exercise, with no need to wash off, and it's quick drying! 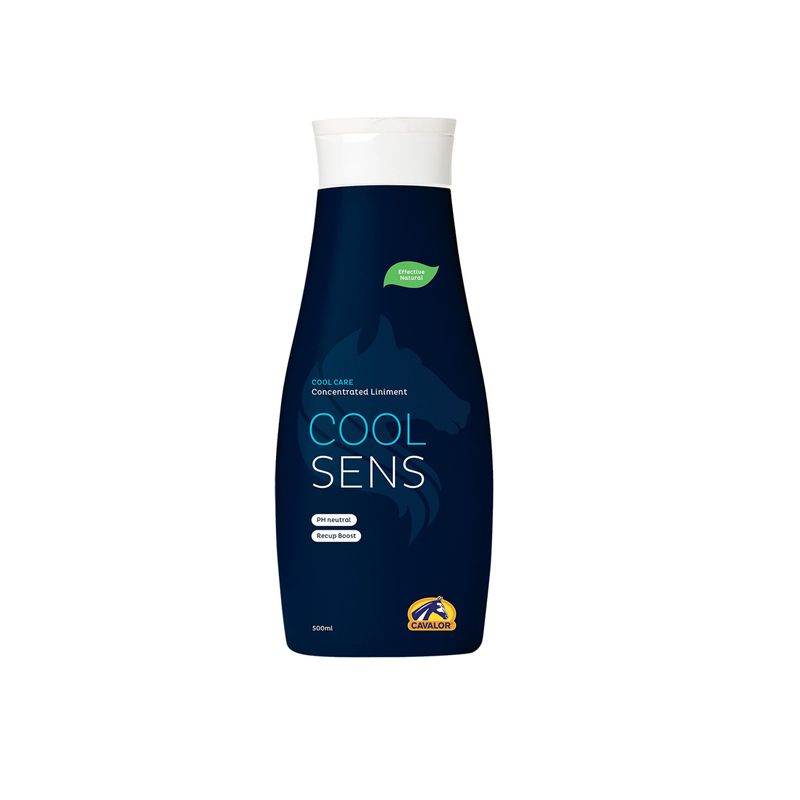 Cavalor CoolSens contains Menthol, Eucalyptus and Tea Tree Oil. Eucalyptus and Menthol gently stimulate the sensory nerves to evoke a feeling of cool relief & reduce the inflammatory pain cycle. The addition of Tea Tree Oil makes it ideal for treating minor abrasions. The wash does not foam, so no need to wash off. You will find your horse dries faster after using this wash.
Cavalor CoolSens is pH neutral, so very gentle on skin. Directions: Add 1 capful to 4L of water (approx half a bucket). Take special notice of the legs and back. No rinsing required.